The newly-minted Trade Facilitation Agreement (TFA) is a game-changer for the way goods cross borders and move around the world. The seamless movement of packages is the lifeblood of digitally-enabled trade – and that’s why this new World Trade Organization (WTO) agreement gives Latin American countries a lot to be excited about. By making trade safer, cheaper and faster, the TFA allows trade to happen as quickly as the e-commerce economy demands, and it will allow businesses and consumers in Latin America to engage with markets around the world. Let’s zero in on three benefits of this agreement. The key to securing the 21st-century supply chain is transparency: the easier it is to answer the who, what, when and where about a shipment, the safer supply chains will be. In Latin America, customs agencies are limited in their ability to efficiently and effectively guard against corruption and illicit goods because of a lack of transparency. Many countries have yet to apply technology that uses advanced data to conduct risk assessments and clear shipments before they arrive at the border — a best practice that improves compliance among businesses and consumers who ship regularly and keeps borders safe. The TFA addresses this issue head on, implementing “trusted trader” programmes that streamline border clearance for routine, known shippers, who ship the majority of global trading volume and have strong partnerships with delivery service providers. By facilitating the movement of these trusted traders' shipments, the TFA allows border agencies to concentrate valuable resources and personnel on the shipments most likely to pose a threat. Latin America out-performs the global average in domestic and foreign market access, but a Global Alliance for Trade Facilitation analysis finds that border inefficiencies greatly hinder the region’s ability to capitalize on global commerce. The TFA also supports a meaningful export agenda by removing unnecessary costs and red tape, making it easier for a business to reach foreign consumers. This is particularly critical to micro, small and medium-sized companies in Latin America who want to market internationally, but are often deterred by complexity. When it is easier to trade, more trade happens, and the TFA will make it easier than ever for businesses to sell to new markets. Half of the world’s countries hold up at least one in five express shipments that reach their borders — often for random inspections that do little to increase security. In Latin America, most countries have outdated and excessively bureaucratic clearance practices — including a red light/green light inspection process that results in delays and increased transaction costs. 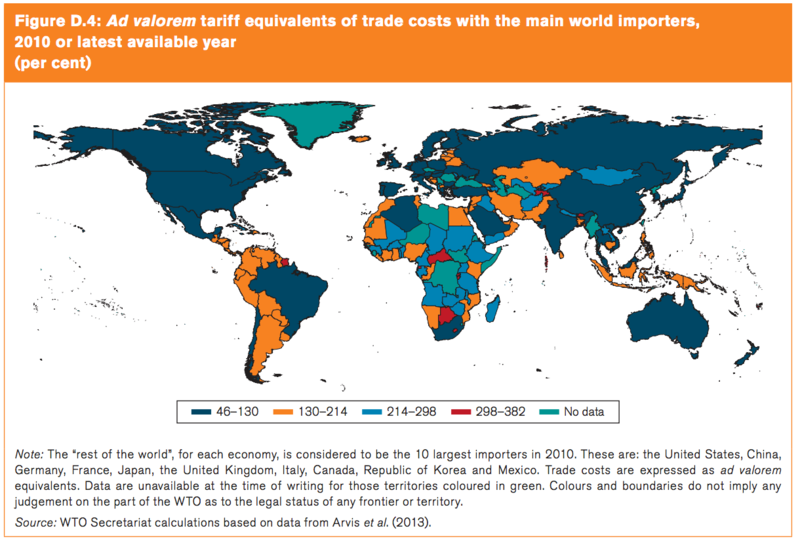 This makes it hard to compete with countries that have the strongest trading regimes and face significantly lower trading costs. 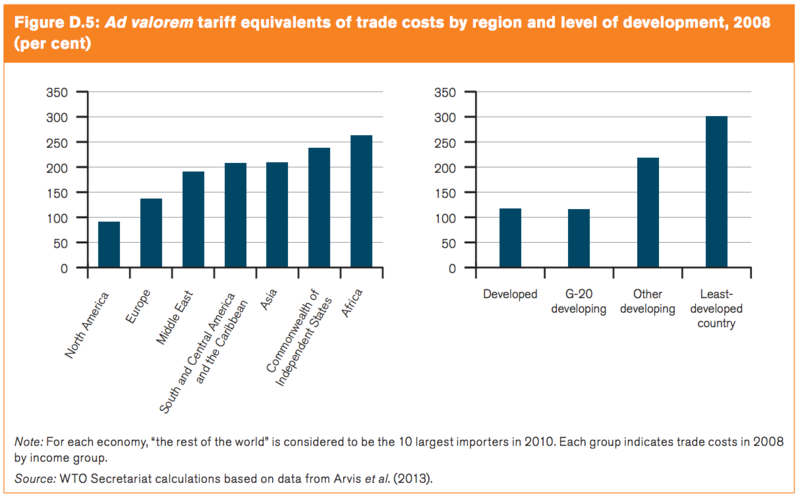 The costs to trade in Latin America are most than twice as high as in North America, according to a WTO analysis, and nearly 50% higher than in the Middle East. Existing trade barriers in Latin America like cumbersome border requirements and delays are the equivalent of steep tariffs, greatly increasing the cost of doing global business with the region. A full 15% of countries hold more than half of the packages. These delays result in higher costs for businesses, and often countries lack the tools needed to improve the processes. TFA provides those tools and has those countries leverage technology and internationally recognized risk-management standards to streamline the import process. 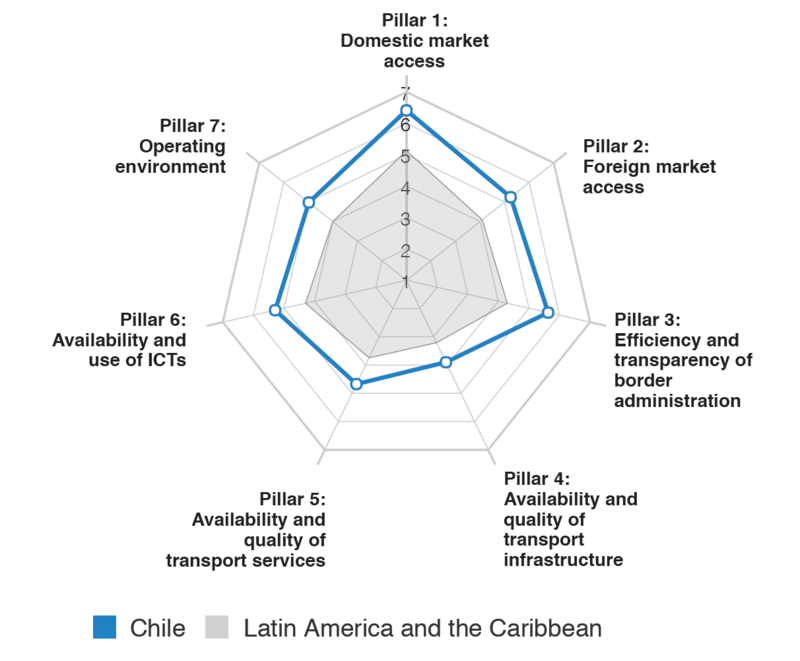 Chile leads Latin America on trade facilitation, and is markedly ahead of its neighbours on efficient and transparent border processes, but like the rest of the region, it struggles with transportation infrastructure. Lastly, the TFA goes further than any trade agreement in decades to raise standards among developing countries with the weakest trade infrastructure and, in doing so, connects their growing and thriving middle-class populations to the global economy. The TFA accomplishes this by mandating the processing of shipment data before the good physically arrives; collecting duties and taxes after the release from customs' control; expediting the movement of low-risk shipments by known traders; calling for higher thresholds for imposing duties and taxes on low-value goods; and creating an interagency document submission platform that eliminates burdensome paperwork redundancies. Many developed countries already have these measures in place. But with TFA, all 164 members of the WTO will now be working to meet these standards, strengthening the entire global supply chain. Last year was the first time since 2001 that GDP growth outpaced trade growth. Rather than recede into protectionism, now is the time to reinvest in safe, smooth and modern customs processes. 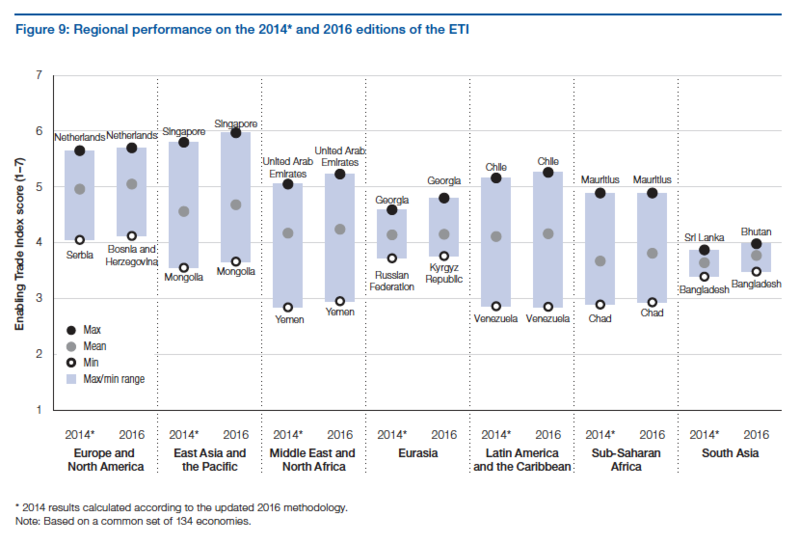 As countries work to comply with new TFA standards, Latin America and the world at large have a unique opportunity to equip businesses and customers with the tools they need to succeed on the global stage.